It was a snow day today, and all the kids were home from school, so I didn't want to go out to get groceries, but I needed something for sandwiches the next day. (My 9 year old son is fixed on having PBJ sandwiches every day - except we use almond butter.) I always used store bought, and suddenly realized I could make my own. This is FANTASTIC! It is from my dear friend Isha, who is a raw food chef. I swear, this is as simple as throwing some things in a blender, and pouring into a pan! You CAN do this! 6) Pour the mixture over the chia seeds in pan, and mix for a while to prevent sticking. Then let rest 20 minutes. Then transfer to freeze for at least half an hour. 7) Combine 7 tablespoons cocoa powder, a tablespoon of coconut oil, a tablespoon of coconut butter / manna if you have it, and add maple syrup and agave to taste, along with a bit of vanilla extract if you like. Spread this chocolate glaze on top of chilled pudding. Organic Designer is MY SISTER! This is the most wonderful thing EVER! 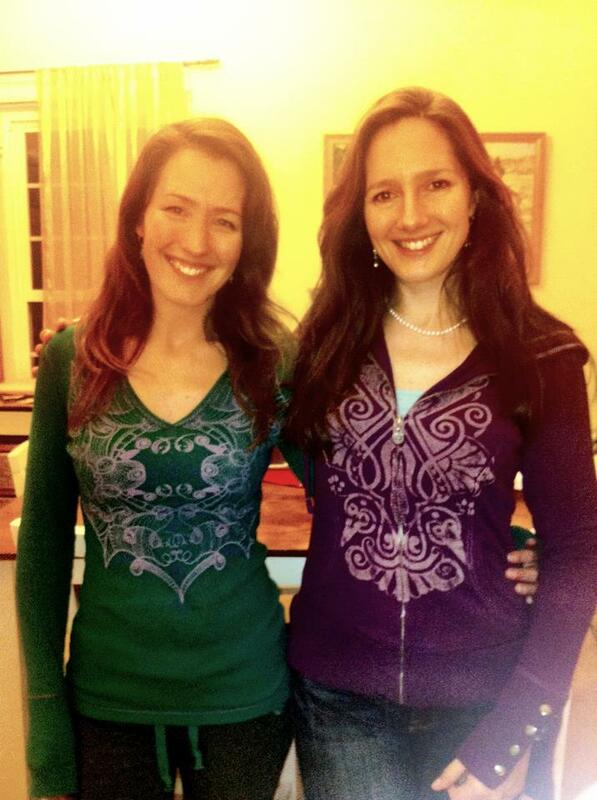 My sister Ananda and I made it for our family's holiday gathering and everyone loved it- even the children! 1. Use a cheesecake pan (or just a basic glass brownie pan or pie dish) and sprinkle the coconut on the bottom as your very first layer. The point of doing this is to make it so it's easier to remove the cheesecake and the coconut stops the crust from sticking to the bottom of the pan. 2. Put the macadamia nuts and dates into your food processor. Process nuts and dates until well processed but still airy. Then press the mixture of nuts/dates down into the pan (on top of the coconut you already sprinkled in) to form the crust. 4. Place the above in freezer for an hour or so (so that it will firm up). 5. Meanwhile, throw your strawberries and dates in your high-speed blender. Blend until nice and smooth. Pour this mixture on top of the crust/creamcheese, which was just in the freezer for about an hour. Replace the raw cheesecake recipe back in freezer. 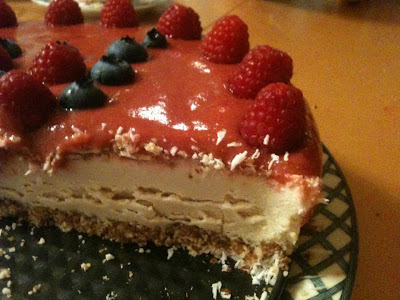 Freeze until this raw cheesecake recipe reaches the desired consistency! 6. 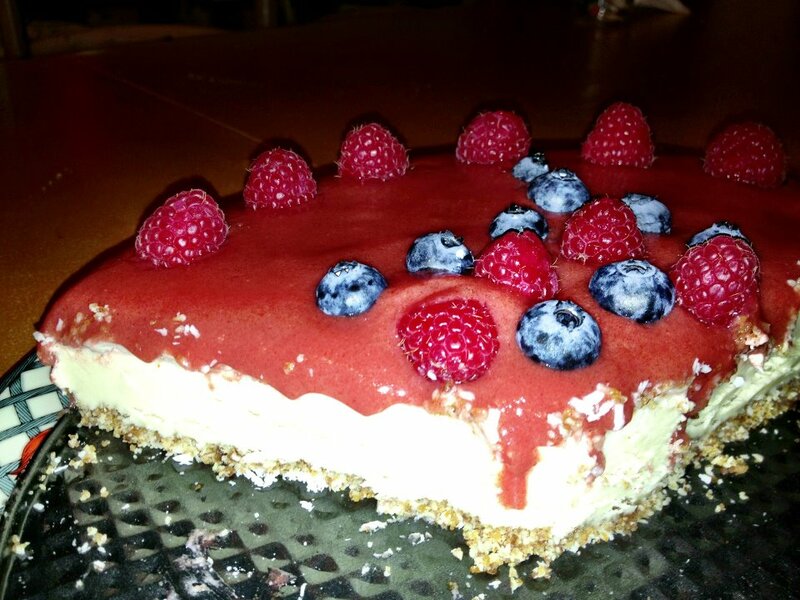 You can defrost this raw cheesecake recipe for about one hour before eating (or just slice from freezer and enjoy this delicious raw cheesecake)! Note that we were out of macadamia nuts and so we used some pine nuts, and it is fine - even straight almonds/cashews is great!